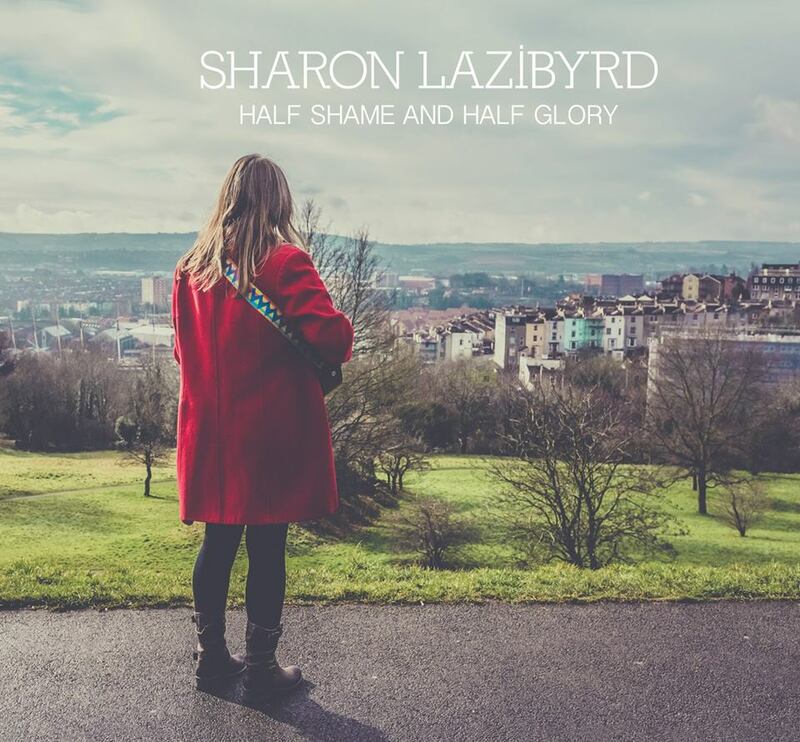 For our first interview of 2018 we catch up with singer songwriter Sharon Lazibyrd who released her debut solo album 'Half Shame And Half Glory' on 8th June 2018. ​How and when did you first get interested in music? I have always played and sung since childhood. I started playing the violin and singing along with my sisters as my dad played the piano. Tricky question but I remember singing 'My Favourite Things' from 'The Sound of Music'. I think I have always loved music, but it took a while for me to define myself as a musician. However, once I started writing songs, which was relatively recently, I realised I am almost had a ‘need’ to perform them, then I wanted to record them. Again playing the violin with my dad this time on guitar I think at a neighbour's house. I love melodies and music from all genres that grab me. I am a massive Julian Cope fan and I also loved The Smiths, and Chumbawamba. In the folk world I love Jackie Oates’s voice and a bit of Joni Mitchell. Really hard question! I listened to The Smiths 'The World Won’t Listen' album loads as a teenager. 'ABCDEFG' by Chumbawamba is great as is Dizraeli and The Small Gods music. Indie-folk, melodic, ethereal and sometimes political. The first song I wrote was about caravans, I didn’t start writing songs until after I had children and when they were really little we went on a few cheap caravan breaks. That was quickly followed by a song about my son. There is no process but inspiration in whatever form it comes. I might overhear something, or write in response to something that has happened to me or is happening in the world. Sometimes a line and/or the words come first, sometimes the noises I make on an instrument, sometimes the melody, or sometimes melody and words together. The only thing I never start with is a chord structure as I’m not really a chord person. What is the story, background and inspiration for the collection of songs on your solo debut album 'Half Shame And Half Glory’? There is no one story, although there are themes that reoccur such as time and a bit of social commentary. 'Mr Smilie' is a story song based on a newspaper article about a reclusive three legged clock and watch repairer. 'And They Danced' is a sort of fairytale story with an ambiguous ending. 'Half Shame And Half Glory' was inspired by a quote from Sir John Gielgud about acting and I have applied it to musical performance and life’s journey. Some of the songs may be personally inspired but I like the fact that they are open to interpretation and therefore hopefully have a more universal appeal. ​As well as being a solo artist you were previously in the Lazibyrd duo with Tom Chapman. Going forward what will be your main focus and how do you see your music career developing? My main focus is as a solo artist and I would envisage my next album be another solo one. I really enjoy working with other musicians and I like the fact that virtually each track on 'Half Shame And Half Glory' has different instrumentation. I really enjoyed headlining the Godney Gathering Acoustic Stage last year and playing at South Petherton folk festival as a soloist. I recently really enjoyed playing at Kingsbury May Festival. Really hard as to some extent it all depends on the night and the acoustics. I have really enjoyed playing at Bradninch Folk Club and I had a lovely gig at St Stephens in Bristol as a couple of diverse examples. I think these days you have to some extent. I think it can be useful to network and meet people like yourself who support original music, it is also a way to get gigs and talk to fans and supporters. I only really post in a music related way though. I think there are positives in terms of being able to reach a global audience. There is a lot of competition though. Useful in terms of reaching an audience but more revenue from it would be beneficial. For me CD as I don’t have a working record player but I prefer a physical object with information and artwork. First music a Boney M single, most recent Kate Tempest. I went to a festival recently with my family where we saw lots of live music. First play of 'What Time Is Later?' on the BBC Introducing Mixtape. Being BBC Introducing Artist of the Week on BBC Georgey Tonight in January 2018. The response and reviews for 'Half Shame And Half Glory' so far, being a Fresh Fave and getting regional BBC play on 3 different shows so far. Plans and ambitions for 2018 and beyond? More radio play, I am aiming for more 6 Music and Radio 2. Some more fantastic reviews. LIve shows, I am especially looking forward to my album launch event on 16th June 2018 at Kingsbury Community Centre where I will be joined by guest musicians and fantastic support from Maaike Siegerist and Victoria Pearce. I am also looking forward to playing at some lovely festivals including Priston and Watchet. Writing more songs, and then in the future another album. For all the latest news about Sharon's music please keep checking her social media streams.